The Legend of Zelda: Breath of the Wild wasn’t originally supposed to come out next year. Nintendo had a target year of 2015 set in mind, but that was pushed back last March. It was delayed once more following an announcement this past April, when Nintendo also confirmed an NX version. 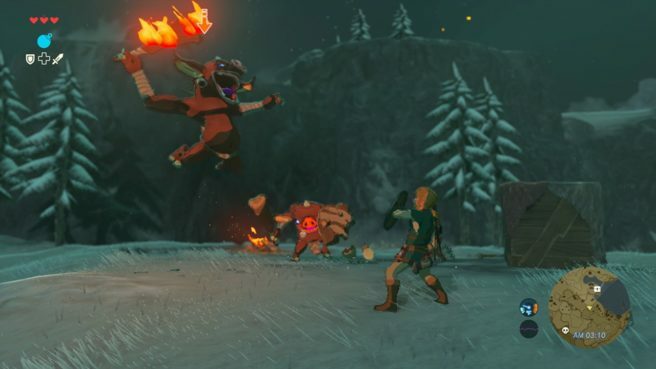 Shigeru Miyamoto and Zelda producer Eiji Aonuma both spoke about the reason to delay Breath of the Wild at E3 last month. The main thing we heard about was difficulty in implementing the physics engine. That’s still true, but while talking with EDGE, Aonuma also discussed how development itself ran into some issues. “We have these milestones during development. I play the game, then give staff my comments, my advice on what direction they should be heading in. At one of the milestones, the game was fantastic. There were so many great elements. But at the next milestone, that was all gone.